Art, Music and PE are critical parts of our curriculum. They are taught by experienced teachers who are specialists in their fields. Lessons in Art, Music and PE reinforce the IB central ideas being learned throughout the rest of the school day. Full-time Early Childhood students have each of these classes once per week. Students in First to Fifth grade enjoy each of these classes two times every six days. During our Preschool and Kindergarten art program, your child will not only have fun, they will learn a whole lot about fine motor skills, color theory and the difference between 2D and 3D art too. At the ages of three to six, children are encouraged to build up their confidence when it comes to fine motor skills. They are not aware of how much they can accomplish, and so we do a lot of observational drawings, as well as talk about lines and shapes- the basis of all 2D and 3D art. 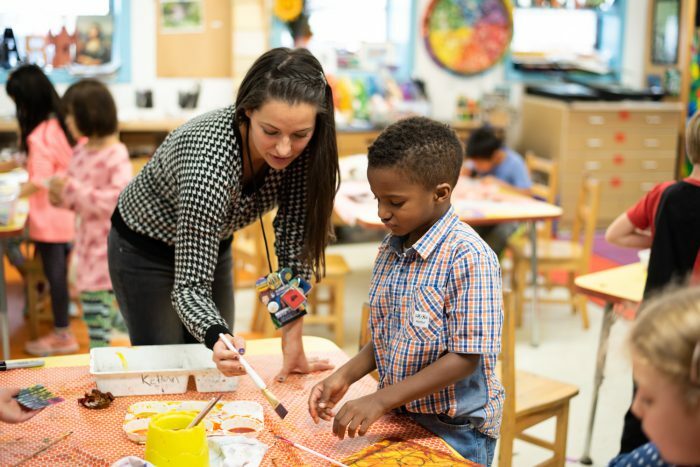 The 1st through 5th Grade art program uses a spiraling curriculum, where ideas, concepts, skills, media, and processes are introduced and revisited many times throughout a student’s educational journey at TIS. This gives the student the chance to build upon skills and deepen their learning. Preschool and Kindergarten music classes include songs, rhymes, instrument playing, movement and listening experiences designed to build understanding of music concepts and to build music skills. Our young students learn about music concepts such as tempo (how fast or slow the beat is), melody (high and low pitches, pitches moving up, down or staying the same), tone color (recognizing the instruments or voices by their sound), dynamics (how loud or quiet the music is), rhythm and beat. We also spend time experimenting with different types of voices (talking, whispering, singing) and developing the singing voice. Throughout the year children also learn the proper way to play and care for instruments. 1st through 5th graders are musicians and dancers. In a vibrant Orff-Schulwerk classroom there are many different ways for children to develop their musicianship as they grow through singing, clapping games, creative movement, folk dances, improvisation, poetry, reading notation, and percussion instruments. Soprano recorders are introduced in 3rd grade, and 5th grade students begin to learn alto recorder. 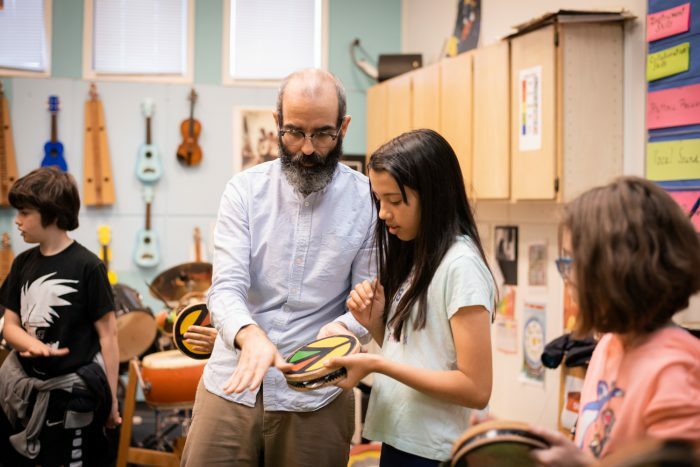 The music department has a full Orff-Schulwerk instrumentarium, in addition to hand-made instruments from Ghana (gourd xylophone) and Brazil (Berimbau). At any point during the day you might hear children making authentic music from around the world – from children’s clapping and singing games, folk songs, lyric improvisations to jump rope rhymes, instrumental improvisations, or students blending their own compositions and movement skills into new works. These engagements all support Units of Inquiry that are either stand-alone music units, or that connect to homeroom or other specialist Units of Inquiry. Students practice reflection on their work during each class using language of the IB Learner Profile. Early Childhood Physical Education at TIS is a place to learn how to play together, to become aware of how our bodies move, and to grow confident taking risks and learning new things. Our class consists of a variety of activities designed to improve gross motor and hand-eye/foot coordination. 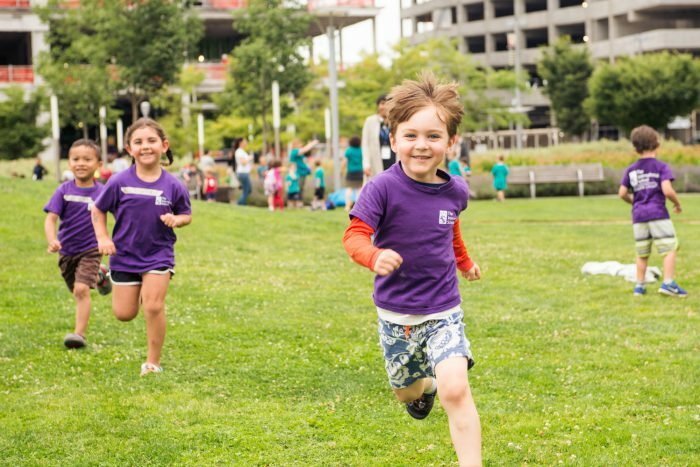 Gross motor skills include running, hopping, jumping, leaping, galloping and skipping. Skills to develop hand-eye/foot coordination include throwing, catching, dribbling, kicking, and striking. We will also explore creative and rhythmic movement through dancing, animal walks, and Imagination Yoga. The sequencing of our PE curriculum includes introducing skills in prek, developing these skills in lowk, and mastering them in kindergarten. Other skills are introduced in lowk or k but not mastered until the primary years. In 1st through 5th Grade (the elementary school years), PE class strives to give children a lifelong love of being active, encouraging them to understand their role in developing their bodies. In PE class children learn to strive for their best, to endure the work they ask of their bodies to grow it strong and true. They accomplish goals while respecting others, setting age appropriate, individual goals that give each child a meaningful sense of accomplishment. Spanish, Chinese & Japanese Language Immersion Education and International Baccalaureate Elementary School in Portland, OR.